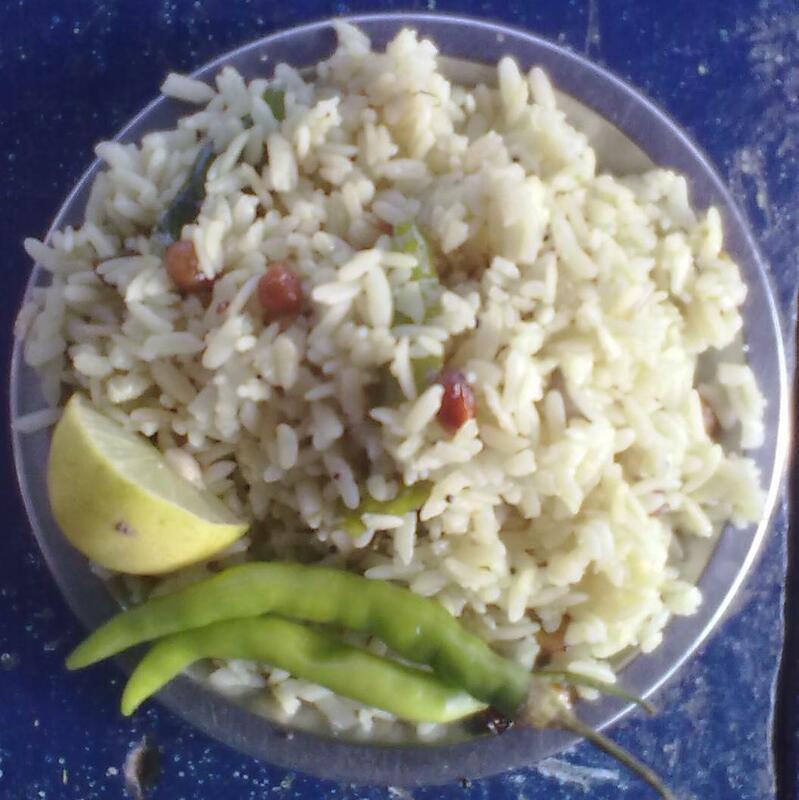 Atukulu is made of rice. They are many types, now we are using thick ones (they are intermediate to rice and flattend rice ). After cooking they look like fried rice. It is very famous in Telangana region . And we call it as " Pachi Atukulu " as is is soaked in water. It is very easy to make. 1) Wash and soak atukulu for 20 mins and strain out water (or) Keep them in hot water for few minutes till they become soft. 2) Heat oil in a pan and add groundnuts, fry them till get colored then remove from oil. 3) Now add green chilli, onion ginger garlic turmeric and little salt fry them finely. 4) Add curry chopped curry leaves and mix well. 6) Keep on mixing till they get hot .